I was probably the last person to start filling in my brows. They seriously needed it, but I was petrified! It’s taken a while, and many a Morticia Addams gone wrong, but I’ve finally settled on what I prefer: a mixture of pencil and powder. I started off with Urban Decay’s Brow Beater in Dark to create my shape, with small, light strokes throughout, and then I’d brush the product through with my Anastasia Sable Duo Brow Brush #7. Then, I’d use my Real Techniques Brow Brush to add a little bit of Faint from my Naked Basics palette over my brows. I use very little powder and stick to small strokes to avoid a mess. Rimmel’s Brow This Way clear gel does a great job of holding everything in place, without leaving me with crusty caterpillars. I can swear it’s long- lasting, because my brows have made it through sweaty concerts without sliding off. Well, until I got kicked in the face! The more I watch brow tutorials, the more I see how natural brows look when you can see hairs through them. I didn’t use my Urban Decay Brow Tamer, in Dark also, for a long while, but now I go over the top of my brows and lightly catchy some of my hairs, to brush them upwards. I also do the same on the hairs at the beginning of my brows. How many times have I said brows so far? I was really happy with this lot, until I realised the Brow Beater was causing me hair loss! As in noticeable patches! That’s so not a good look, especially when you have sparse brows to begin with. I didn’t use the Brow Tamer until recently and the patches are in parts I don’t use it, and Faint and the Rimmel gel I’ve used for nearly a year without problems. It’s a great pencil though, and this didn’t happen until I was on my second. 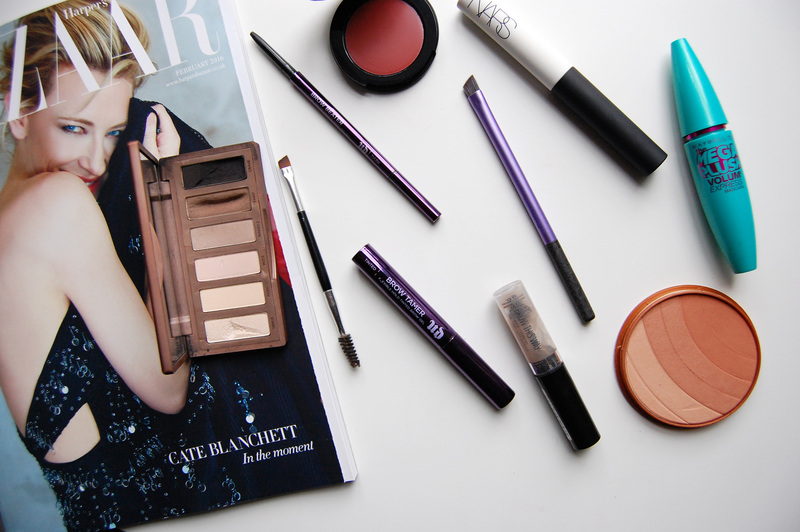 I’ve realised I prefer a less waxy pencil, and a smaller brow brush for my powder. Maybe I can finally manage a consistent shape if I change my tools. Oh god, brows was the last part of makeup I got into, too! I now look back at photos and cringe at how much they needed definition, compared to the rest of my face haha. I haven't tried any of Urban Decay's brow products, but I love the look of them! I use my trusty MAC Omega and Brun eyeshadows with an angled brush and the Loreal Brow Artist Plumper to set them, at the moment. Ah, thank you! I need to try the L'Oreal Brow Plumper. I saw it used in a youtube video and the result was crazy good! I cringe too! I have no brows in old photos! And not in an edgy way either! It's a good one I think. I keep wondering if I should buy the Anastasia Clear gel but this one is a fraction of the price and works very well. I haven't tried Archery! I'll write that down and take a closer look. I've switched to the Brow Wiz and I'm completely sold! I had the same problem with pencils before the Brow Wiz. Most pencils do look a bit too harsh and powder looks more natural. I definitely would like a new brush in-between the Real Techniques and the Anastasia one. It's a nice combination, isn't it? It's great there good eyebrow products from drugstore brands. I don't believe brow products have to be expensive to work well.